By Charles "Chuck" Steege of SFG Wealth Planning Services, Inc. This is a summary of a detailed white paper entitled: The Great Drawdown: How to Optimize Stock-Based Compensation for Planned or Unplanned Retirement. Retirement is the long-awaited culminating event of a corporate career. The closer an executive rises to the top, the harder it is to stay there. At some point, whether the timing is right, health and wellness issues intervene or there is something more compelling to do than continuing the pace on the corporate treadmill, retirement becomes the next step. Whether retirement is planned or unplanned, retirement prior to age 65 may present an income gap until the qualifying age to receive pensions and Social Security. The gap can be bridged from savings and company stock from a variety of accounts and plans in the form of stock-based compensation. The complexity surrounding stock-based compensation clouds the dilemma: Which funds should be drawn from to optimize the performance and minimize the tax consequences? The executive needs a clear understanding of targeted monthly household expenses in order to match them with income. This is done through a spending plan, based on expected household needs and what they have been historically. Typically, we recommend a rule-of-thumb spending target of two-thirds (2/3) or three-quarters (3/4) of pre-retirement spending as the budgeted target. Based on the executive’s age and the number of years before qualifying for pension and Social Security income, we have quantified the retirement gap. By estimating current household expenses, a baseline for pre-retirement expenses can be established. The estimate of two-thirds of pre-retirement expenses assumes certain expenses – commuting, restaurants, wardrobe and parking – may decrease at retirement. Many people find paying down any household debt, including a mortgage, may provide peace of mind. 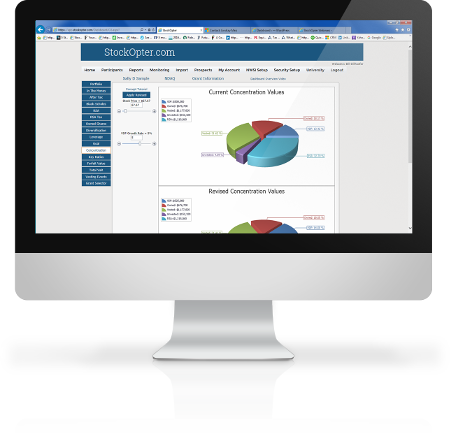 We can assist in developing a template for spending categories and access to a budget tool to track expenses on an ongoing basis. Live off lowest earning assets first; then higher earning ones. Assets whose sales are subject to capital gains first; that will cost less in taxes than assets subject to ordinary income taxes. Live off taxable accounts first vs. tax-exempt assets. Funds withdrawn from most retirement accounts will be taxed as ordinary income and should be tapped last, unless required by RMD. Any gain from Nonqualified Stock Options (“NQOs”) is considered ordinary income. Less common option awards are Incentive Stock Options (“ISOs”). With proper planning, the ultimate difference between sale price and the ISO strike price may be treated as a capital gain. Restricted stock is taxed at vesting, which makes restricted stock a favorable source of funds to bridge the retirement gap. In certain situations, it may be appropriate to consider making a section 83(b) election to notify the IRS of any decision to accelerate payment of ordinary income taxes at grant date and not vesting date. Performance shares are taxable when they vest, making them a good source of income at retirement. One caveat: Beware of company-mandated post-vesting holding periods which may prolong your ownership requirements on performance shares. Both RSUs AND PSUs are released to the executive only when they vest, which is often tied to tenure. They can be good sources of income at retirement, because they’ve been taxed when they vest. Stock Appreciation Rights (“SAR”) offers a bonus equal to the appreciation in the company’s stock, usually over a vesting period of several years. Phantom Stock is a promise to pay a bonus equal to the value of a company’s stock or an increase in value of the stock over a fixed period of time. These two forms of compensation are similar. As with Phantom Stock, the SAR is normally paid out in cash, but it could be paid in shares. There are important elections and decisions to make about pensions and Social Security. Often called an insurance policy against a long life, Social Security is part of every retirement income strategy. It offers a retiree a monthly income stream that is guaranteed; is subject to cost-of-living increases that keep pace with inflation; and continues throughout the life of the insured. Those who expect to live past 82 (the break-even point between collecting lower Social Security amounts at 65 or deferring until age 70 maximum). It may make sense to defer to age 70 to maximize their benefit. By examining the projections for both spouses, it is possible to maximize income over time. When it comes to managing our clients’ stock-based compensation, we apply specialized insight with concentrated stock positions that are subject to complex tax and regulatory considerations. The process we follow to meet income needs in retirement incorporates the compensation, tax, income and estate planning needs. About SFG Wealth Planning Services, Inc. SFG Wealth Planning Services, Inc., based in Philadelphia, is a national financial planning service for corporate executives. Founder Charles “Chuck” Steege, CFP®, CEP, CKA is a Financial Advisor to senior leaders of public companies. He helps executives unlock the value from their varied and complex equity awards by combining his experience as a financial planner and equity plan professional. Advisory services are offered through SFG Investment Advisors, Inc., a Registered Investment Adviser. The information provided herein is based on current tax law, which is subject to change at any time.